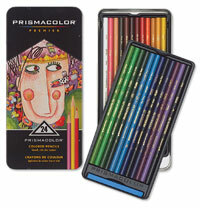 From simple sketches to complex creations, these premium colored pencils and leads have you covered no matter what your latest creation may be. The only problem with this much variety? It's hard picking favorites.